In Dow Jones news, the Dow fell 8.76 points as traders turned their attention to the roster of U.S. Federal Reserve speakers set to talk tomorrow. The Nasdaq hit an all-time high during the trade session thanks to a strong uptick in Apple Inc. (Nasdaq: AAPL) stock. Markets are on edge thanks to the ongoing battle on Capitol Hill regarding the potential repeal of the Affordable Care Act. Many investors are concerned that the Trump administration has used too much political capital on repealing and replacing the healthcare law. They remain concerned that Republicans may not be able to pass tax reform this year. The Federal Reserve was back in focus today after raising interest rates late week. Chicago Federal Reserve Bank President Charles Evans said that the central bank is on pace to increase interest rates at least two more times in 2017. 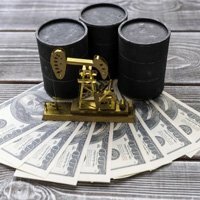 Crude oil prices fell Monday despite news that OPEC members expressed willingness to extend its six-month deal to cut excessive output. The ongoing reduction in production by members of the world's largest oil cartel has been overshadowed by increasing U.S inventory levels and rising shale production. Here's more on Monday's oil price decline. 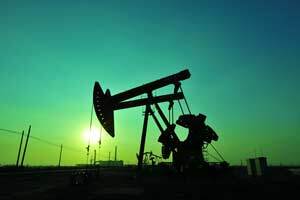 The WTI crude oil price today dipped 1.1%, while Brent crude fell 0.19%. Uber President Jeff Jones is quitting. According to a March 19 Recode report, Jones is quitting because of recent controversies at Uber. These controversies range from sexual harassment claims to Uber using a tool called Greyball to deceive authorities. So, how will this impact the long-awaited Uber IPO? We tackle that question, right here. But the big story is happening in the retail sector. Brick-and-mortar retailers continue to see their share prices erode as consumers turn to Amazon.com Inc. (Nasdaq: AMZN) and Alibaba Group Holding Ltd. (NYSE: BABA). One of the nation's most iconic retailers is on the brink of total collapse. This company – and many others like it – are in total denial about one of the biggest trends in the history of the business. And you could make a lot of money by playing a trend that too many investors are ignoring. Shares of Apple Inc. (Nasdaq: AAPL) added more than 1% thanks to a positive outlook from Barron's. The financial publication said that the technology company could see as much as a 10% gain this year. Investment firm Cowen & Co. upgraded AAPL stock shortly after Barron's released the glowing article. Shares of Mobileye NV (NYSE: MBLY) were up 0.1% despite news that the company could walk away from its deal with Intel Corp. (Nasdaq: INTC). Last week, shares of MBLY surged on news that Intel would purchase the developer of self-driving vehicle technology. However, the New York Post reported this morning that the company may be holding out for a higher bid. Shares of the Walt Disney Co. (NYSE: DIS) gained 0.8% thanks to a very strong debut of its new film "Beauty and the Beast." The movie was the number one film at the box office over the weekend and received a string of positive reviews. Despite today's uptick, Disney stock is facing one monumental challenge. Click here to learn more about it. Shares of Caterpillar Inc. (NYSE: CAT) added more than 2% after the company announced a smaller than expected decline in February sales. The stock has recently been under pressure after federal agents raided three of its Illinois offices. New York Federal Reserve Bank President William Dudley speaks at 6:35 a.m.
Kansas City Federal Reserve Bank President Esther George speaks at 12 p.m.
Federal Reserve Bank of Cleveland President Loretta Mester speaks at 6 p.m.
Boston Federal Reserve Bank President Eric Rosengren speaks at 9:45 p.m.